The owl does not like to have her picture taken. 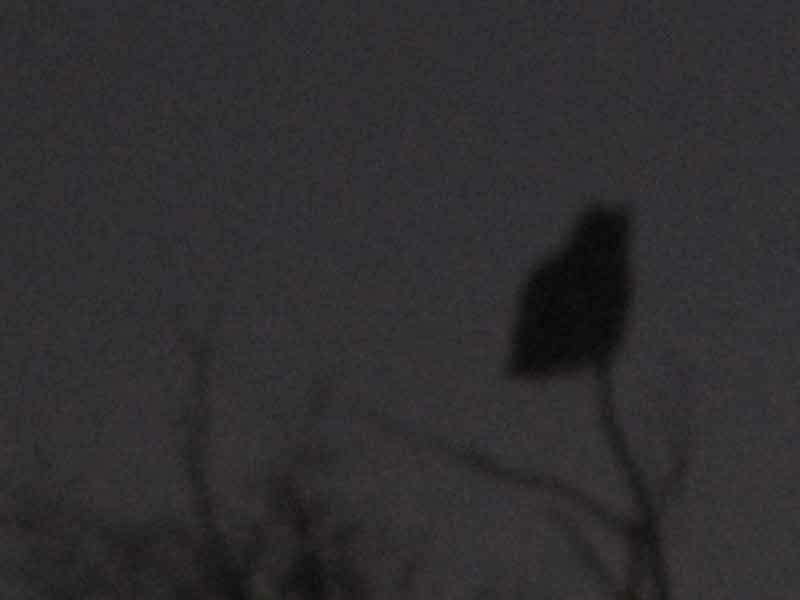 This morning before dawn, I saw her sitting on the very tip top of a tree. When I went out the door as quietly as I could to take her picture, she saw me and flew away. All I got was this dark photo of her through the window.